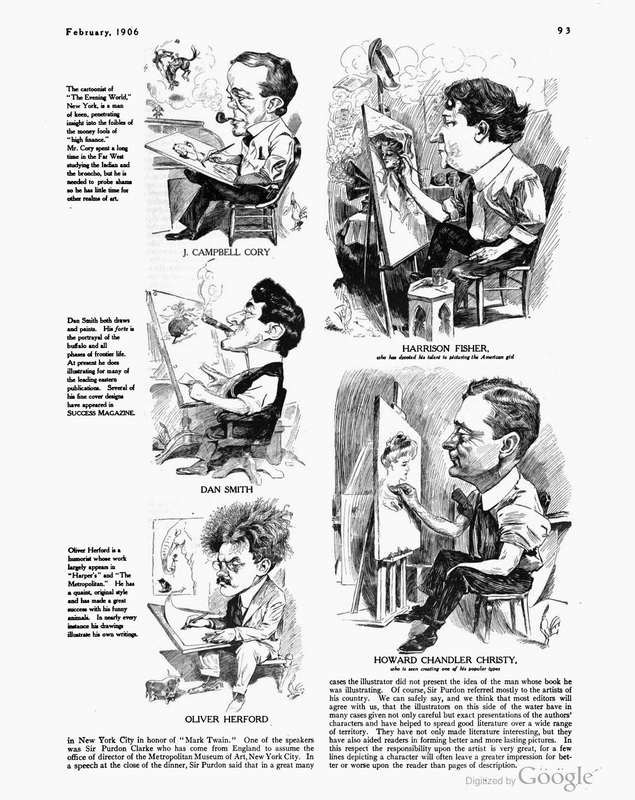 Tuesday, June 2 1908 -- The stage comedian William Collier is profiled by the Examiner, and Herriman contributes this caricature. I'd love to tell you something interesting about Collier, but unfortunately my photocopy of this cartoon managed to cut off 95% of the associated story. So here's Mr. Collier's wiki page, for what little it's worth. Connie, September 27 1936, courtesy of Cole Johnson. Follow the Connie story every Friday here on Stripper's Guide. Daniel F. “Dan” Smith was born in Ivigtut, Greenland, on March 29, 1865, according to a 1932 passenger list at Ancestry.com. The 1900 U.S. Federal Census had the same month and year as the passenger list. Smith and his family were recorded as United States citizens in the 1892 New York State Census. Smith was the second of four children born to Donald and Nicottena. According to the census, Smith’s mother was born in Germany. Smith's older sister, Christiana, was also born in Greenland. His brother, William, was two years younger and born in Denmark. His sister, Eva, was eight years younger and born in America. They resided in Brooklyn at 556 10th Street. Smith's occupation was designer. The Kansas Historical Quarterly profiled Smith and said he joined the art staff of Leslie’s Weekly in the early 1890s. He produced a series of Western illustrations for Leslie’s that appeared from 1891 to 1897. One of Smith’s illustrations for Leslie’s Weekly was reprinted in The Quarterly Illustrator, April, May and June 1893, on page 118. 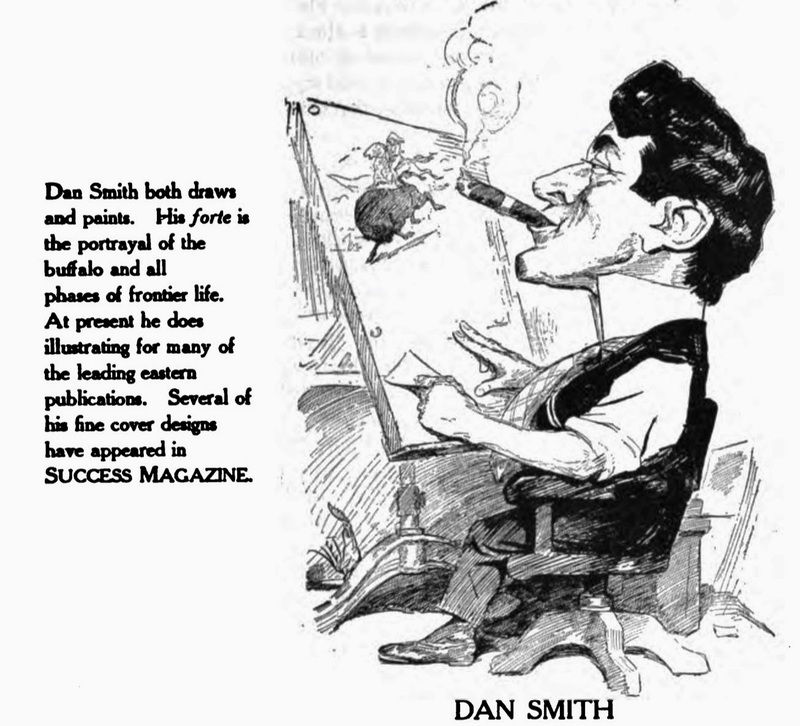 An index of illustrators had this listing: “Dan Smith, 30 East 14th Street, New York”. In the 1900 census, Smith was married to Wilhelmina “Minnie”, a German emigrant, for eight years. They lived in Manhattan, New York City at 71 Lexington Avenue. He was an artist. The census said his parents were born in Denmark. Newspaper cartoonists and caricaturists are not the only ones on the the art staff of the daily press that are well paid. Dan Smith, the crack newspaper illustrator, receives $65 a day from the New York World. For fear that he might acquire more than his share of his world’s goods (no pun intended). Mr. Smith works but four days a week on the newspaper and manages very comfortably on his year income of $13,520. 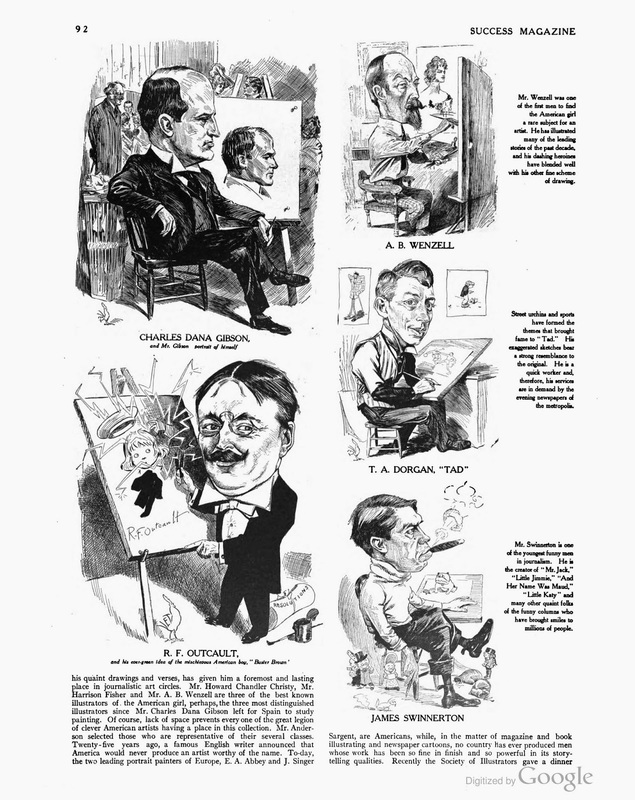 in Success Magazine, February 1906. (Canton, New York) yearbook, The Gridiron 1908, page 67. The couple was recorded at 315 West 97th Street in Manhattan in the 1910 census, which said Smith emigrated in 1869. His occupation was artist. The 1915 New York State Census recorded the same address and occupation. 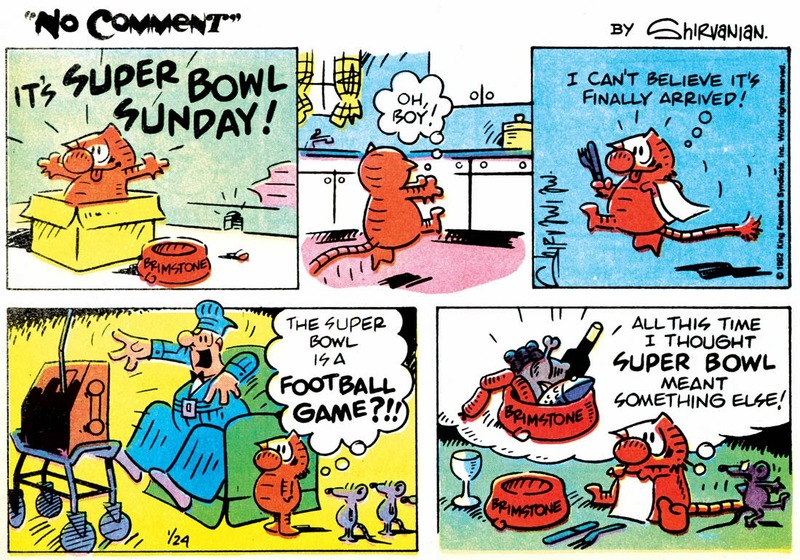 According to American Newspaper Comics (2012), Smith was one of many newspaper artists who produced romantic cartoons for the Newspaper Feature Service. Smith’s work appeared in April 1919. 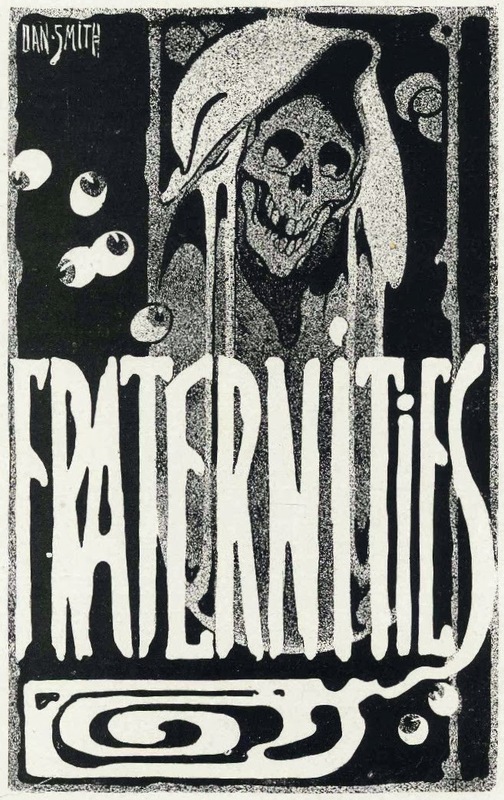 Cartoons Magazine, May 1918, reprinted Smith’s “War Brothers” which was for the Newspaper Feature Service. The 1920 census and the 1925 New York State Census said Smith resided at 50 West 67th Street in Manhattan. His apartment building was one of several built, along 67th Street, for visual and performing artists. A neighbor in Smith’s building was cartoonist Robert Brinkerhoff. 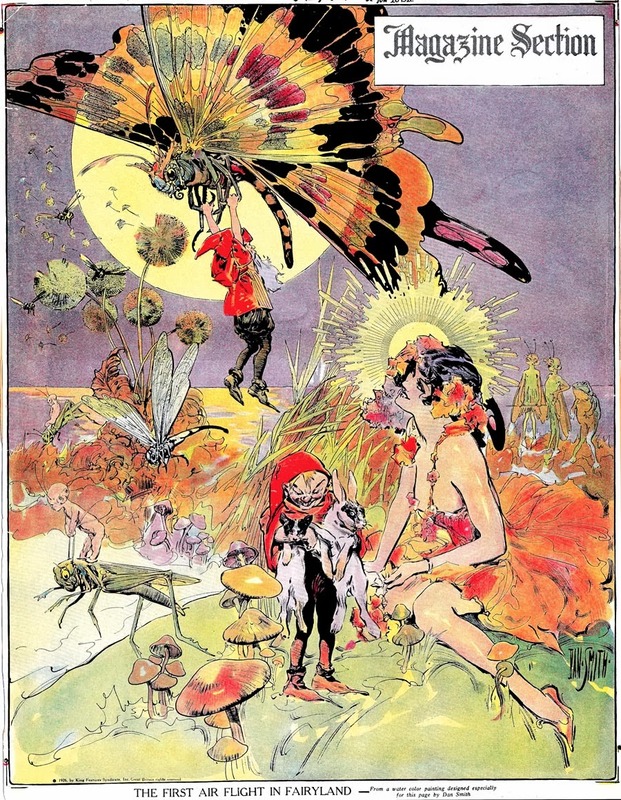 Smith’s Fairyland series appeared on the covers of Hearst’s American Weekly Sunday newspaper supplement in the mid-1920s. 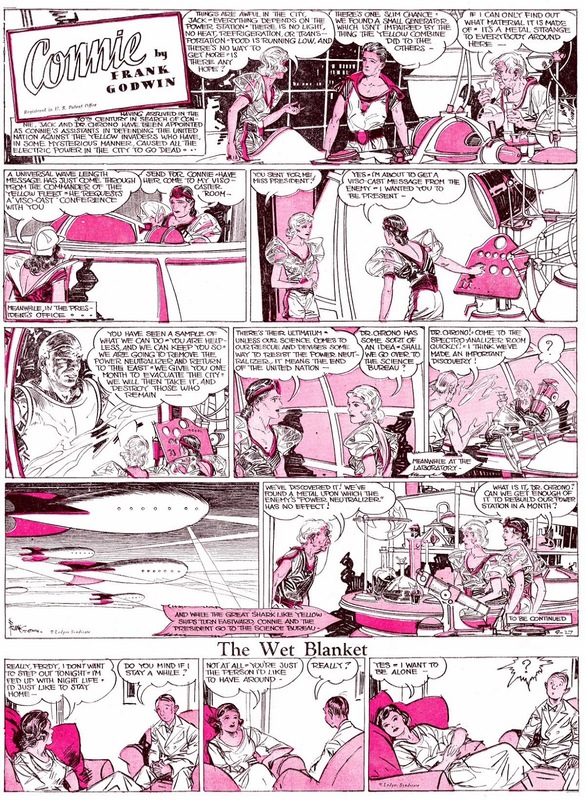 American Newspaper Comics said Smith also produced Sunday newspaper cover illustrations titled Pancho Rancho, from October 13 to December 8, 1929, and Desert Love, from July 27 to October 12, 1930. Some of Smith’s illustrations can be viewed here. At some point Smith and his wife moved to 257 West 86th Street in Manhattan, his address in the 1930 census. 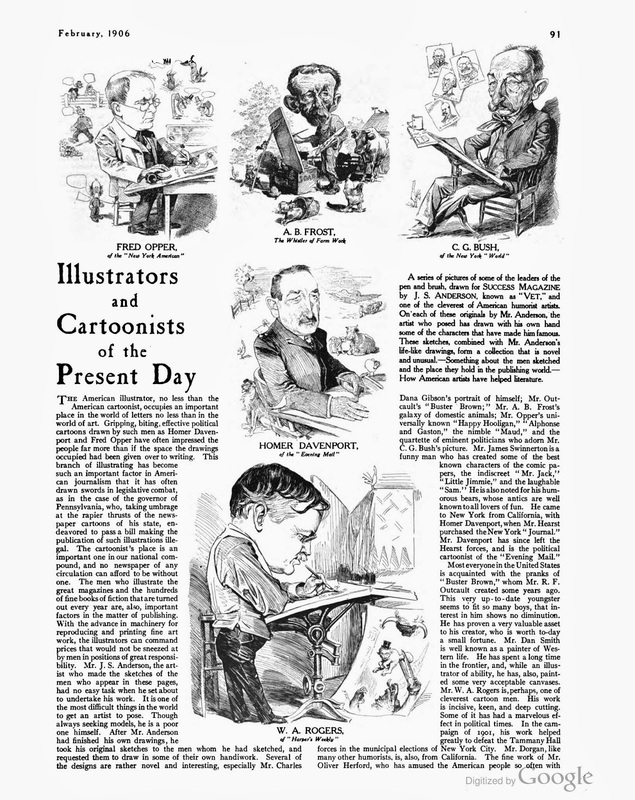 Smith was a newspaper illustrator. This address was found on a 1932 New York passenger list which listed Smith and his wife. They departed March 8 and returned March 24. 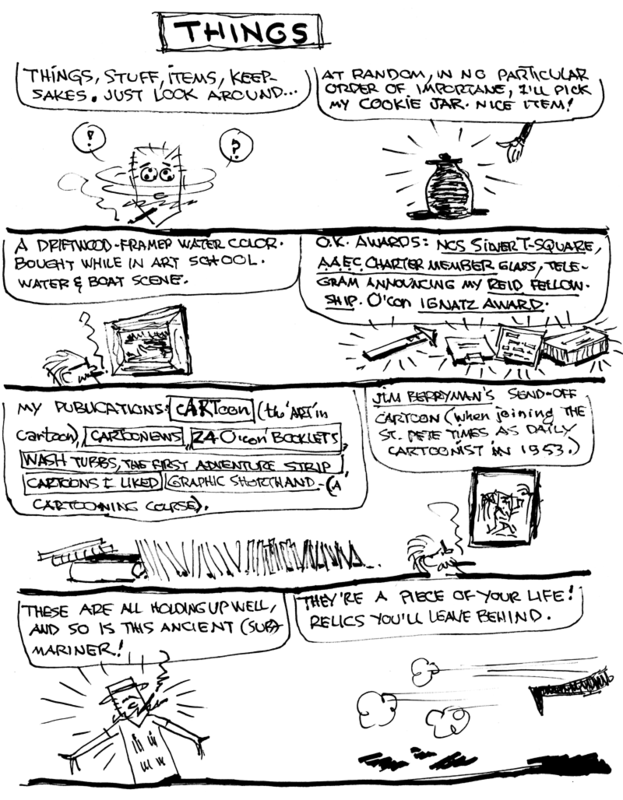 The Central Press and the Berkeley Daily Gazette had cartoon contest in Fall 1930. A number of Central Press cartoonists and illustrators produced drawing lessons for the contest. Smith’s lesson appeared November 6. 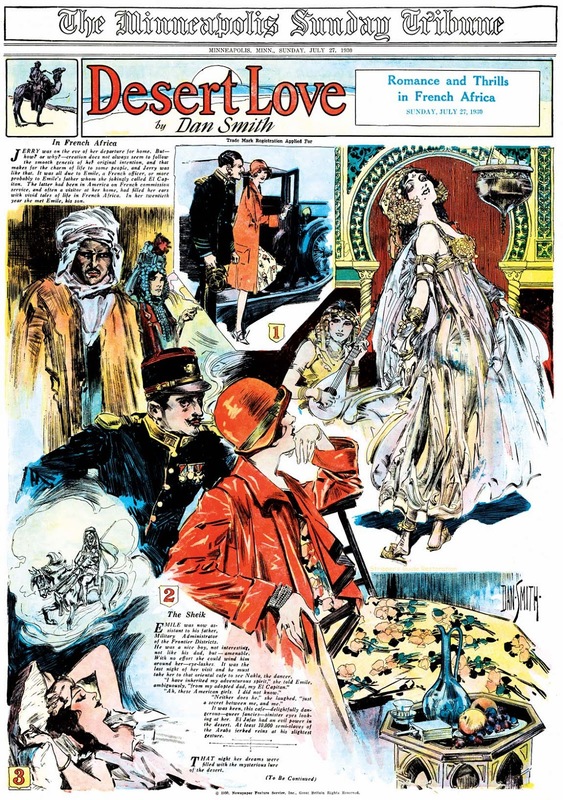 American Newspaper Comics said Smith illustrated stories from the Bible, from June 10, 1932 to August 31, 1935; the subjects included Samson, Queen Esther, Joseph, Ruth, David, Solomon, Jezebel, Salome, Elijah, Joel, Abraham, the Holy Child, Moses and Noah. Samples can be viewed here. Funeral services were hold this afternoon at the home, for Dan Smith, nationally known magazine and newspaper artist, who died on Monday of a heart ailment in his residence at 257 West Eighty-sixth street. Mr. Smith was 69 years old. Born in Ivigtut, Greenland, of Danish parents, Mr. Smith came to this country as a boy. He studied art in New York, Philadelphia and in Copenhagen. He began his newspaper work with the Hearst organization, served for a time with the New York Herald and then joined the staff of The World, where he became famous as an artist and illustrator. His drawings were syndicated throughout the United States. At the time of his death he was associated with King Features. Mr. Smith’s wife, Mrs. Wilhelmina Smith, died last year. A brother, William, survives. Illustrator Dan Smith contributed many covers and interior illustrations to Sunday newspaper magazines over the years, but few of them are within our scope here at Stripper's Guide. You can see some samples of those amazing covers at our post about Dan Smith's lovely Fairyland series. 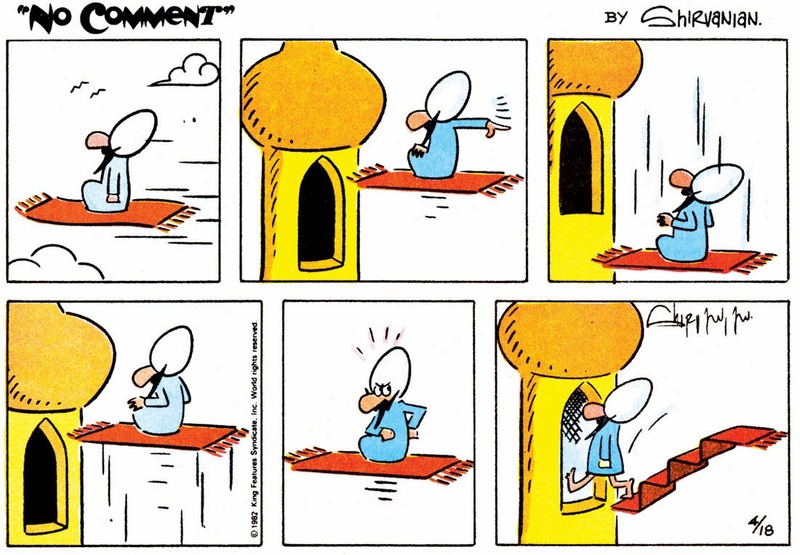 Here, though, we have a series that I judged as qualifying, barely, as a quasi-strip series. Desert Love was distributed by Hearst's Newspaper Feature Service syndicate. It ran on their Sunday magazine covers from July 27 to October 12 1930. The series, which I take it was penned by Smith himself, concerns an American girl who visits north Africa. As was de rigeur on these covers, our heroine has melodramatic romantic adventures culminating in the discovery of True Love. 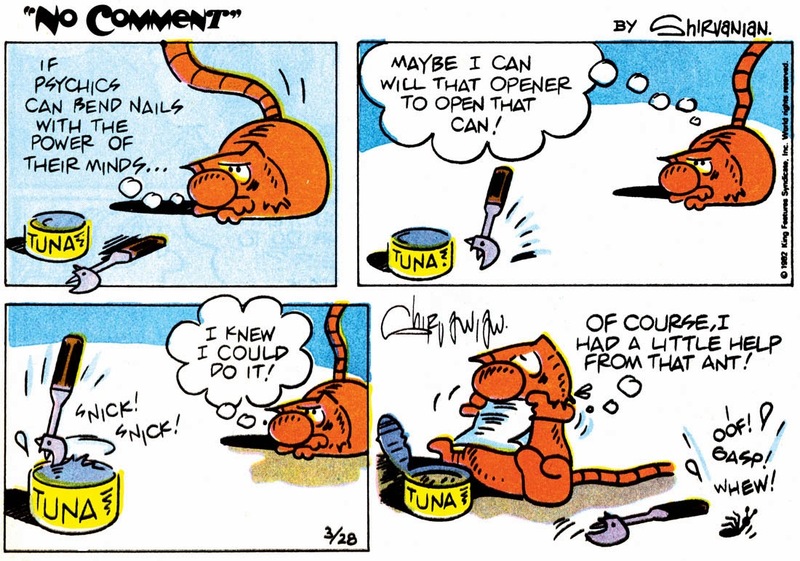 Is this the same Vet Anderson who animated for the Fables, Van Beuren and Walter Lantz cartoon studios? He was a good caricaturist and very facile with the pen! Ah, our keepsakes... the things we treasure. I love your story about how you came to own the driftwood framed watercolor. The things we keep say a lot about us.